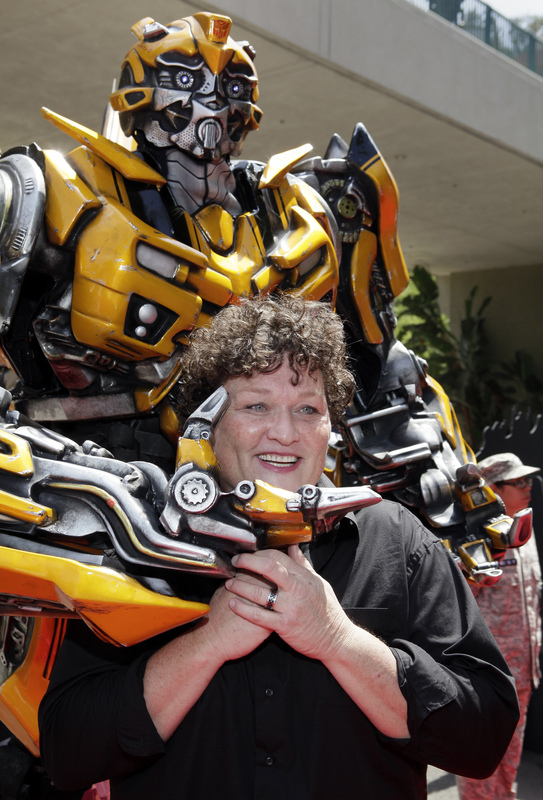 Both this Transformers spinoff movie…and Bumblebee’s body style…are set in 1987…I wonder how they upgrade their bodies? 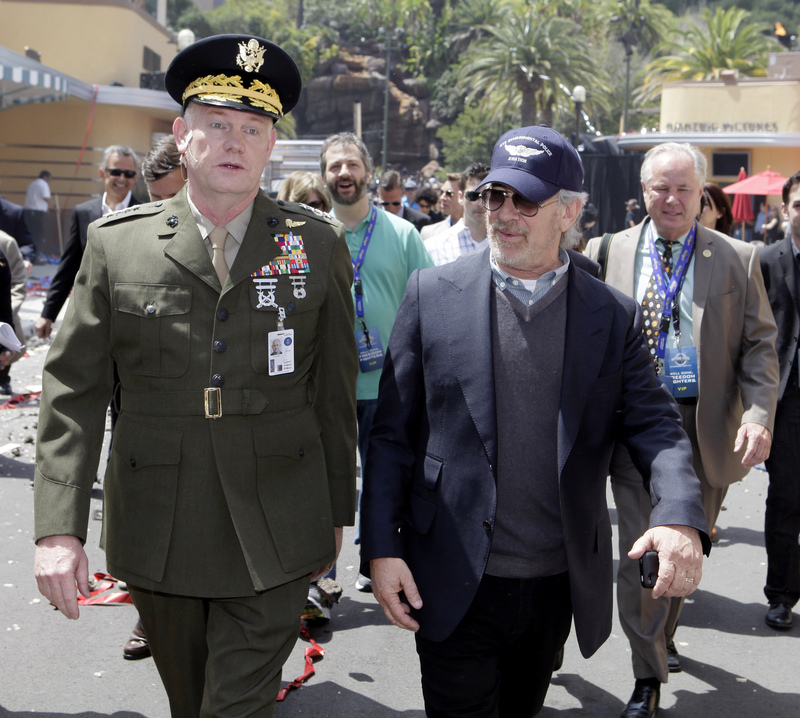 When all seems lost, a few brave souls can save everything we’ve ever known. 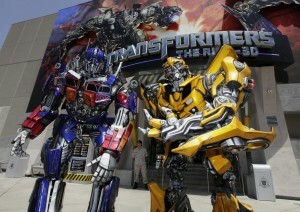 Is Transformers the next mega-franchise? 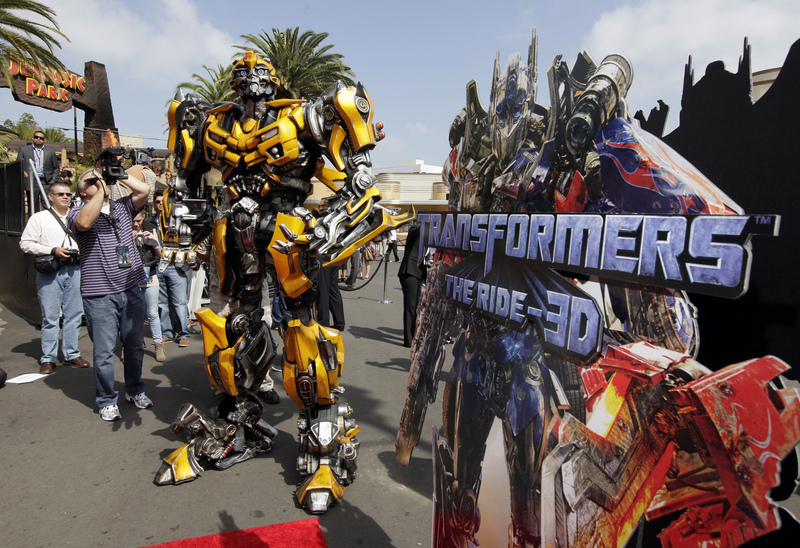 Word is that Paramount Pictures has tapped Akiva Goldsman to start planning with director Michael Bay and lay out the groundwork to transform their Transformers franchise, with an epic core and spin-off movies, similar to what Disney is doing for Star Wars. 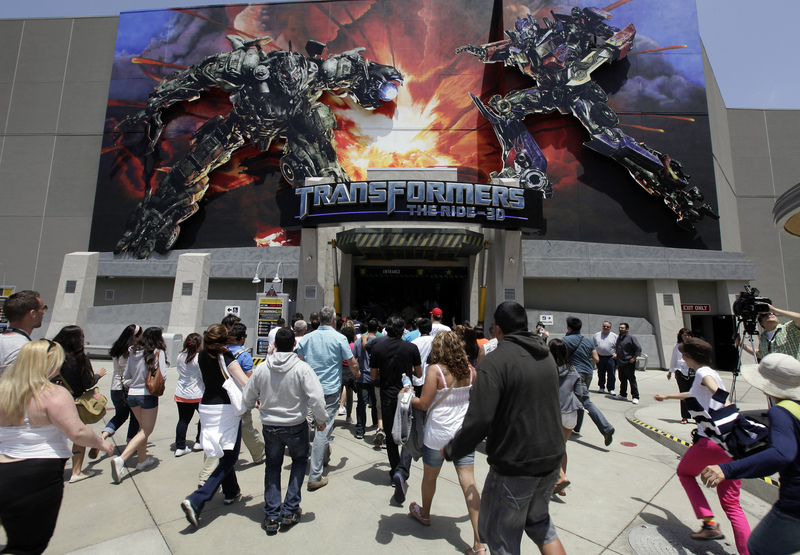 Transformers: Age of Extinction opens June 27, 2014. 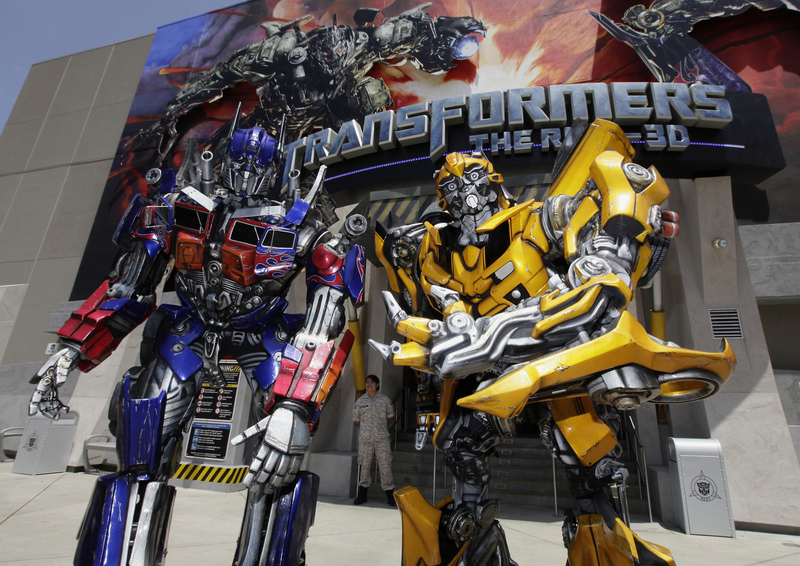 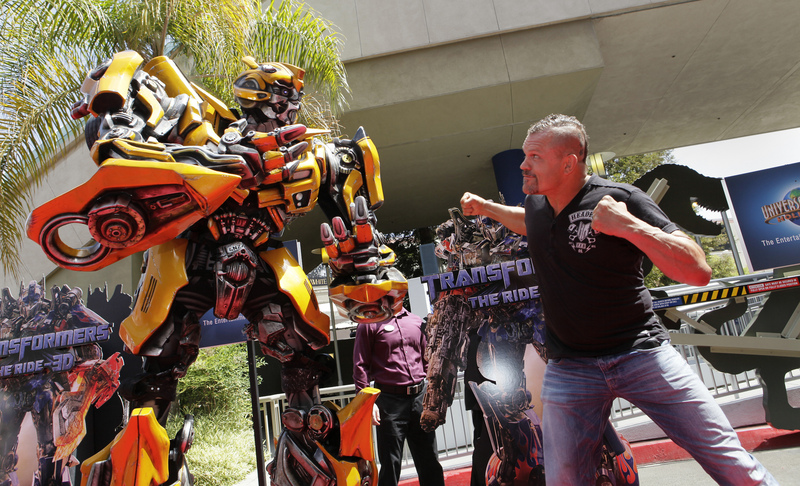 The latest movie-themed attraction, Transformers: The Ride, opened this week at Universal Studios Hollywood, and it certainly looks like a wild ride! 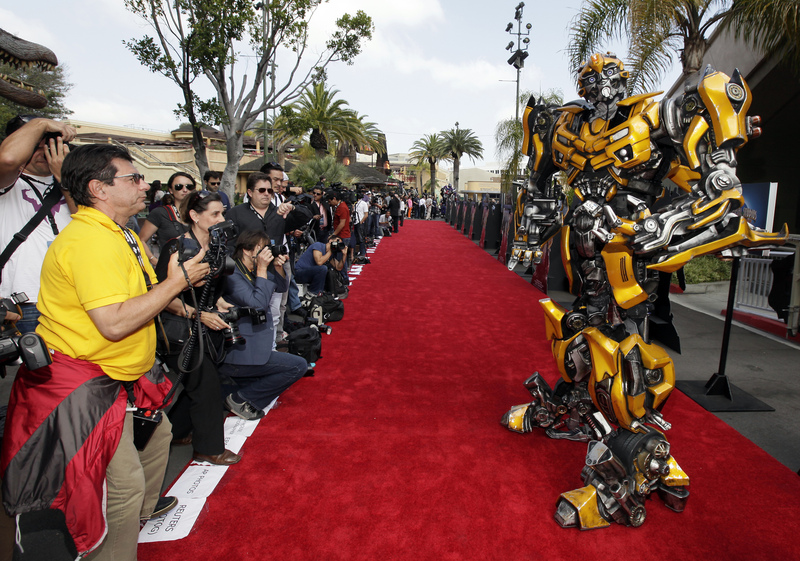 To celebrate the opening, a full red carpet event was put on, including Optimus Prime and Bumblebee walking the carpet and posing for photo ops, and a whole ceremony with the two driving in and saving the All Spark. 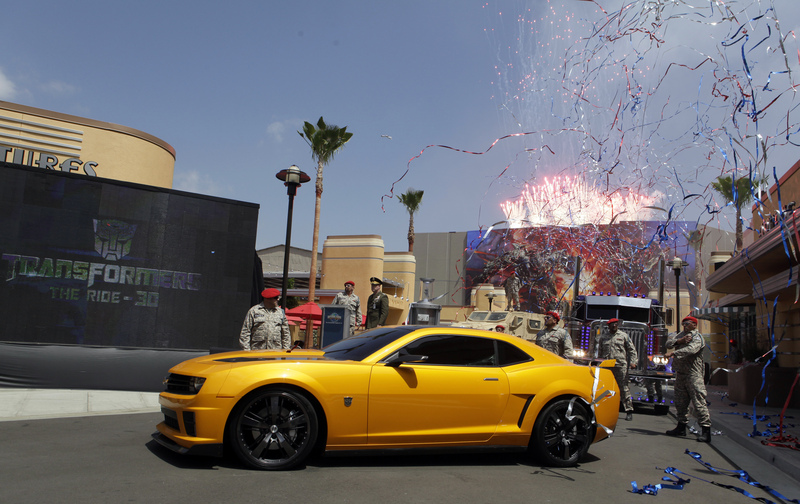 Check out the pictures and video (provided by Universal and our friends at Inside the Magic, who described the ride as “Spiderman x1000”).